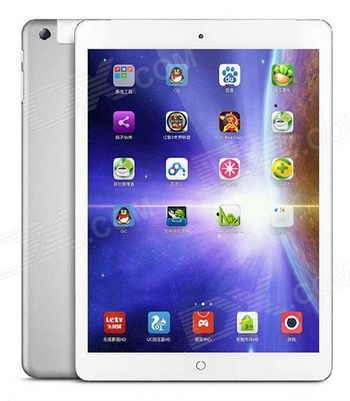 Onda V919 is a 9.7 inch tablet from China which looks like the Apple iPad Air, but without the expensive price. Even with the cheaper price, it is actually a well-made tablet with good specifications, according to Phone Arena. The Onda V919 3G Air only costs C$196.85 (from DX.com), offers 64GB of internal storage, and features 3G cellular data connectivity. Also, it has the capability to dual-boot Android 4.4 KitKat (not Lollipop unfortunately) and Windows 8.1. To switch between the two operating systems, you would only need to press a button. For comparison, a 16GB iPad Air with WiFi only (no cellular connectivity) is about C$439, and with cellular connectivity is C$579. That’s a pretty big price difference! Would you consider buying this tablet? This entry was posted in Gadgets, Tech and tagged Android, Apple, Gadgets, Tablet, Tech, Windows. The list above is hyperlinked to the series videos found on the Bloomberg TV website which I highly recommend to watch. The last one on my list above was actually not available at that time on Netflix and I had just watched it while writing this blog post. This entry was posted in DTV, Life, Social Media, Tech, Web and tagged Amazon, Apple, DTV, Facebook, Google, Netflix, TV, Twitter, Vogue.